Homechoice Planners and Construction Corporation has walked down to memory lane as they have conducted a throwback of the 90s renowned Pinoy games. It was a nostalgic moment as the company reminisce all the games that the people used to play way back their childhood days. Piko, limbo rock, luksong lubid, luksong baka, luksong tinik, sipa bola are just some of the pinoy games that the HPCC workers have played. Last 5th of May, HPCC together with the other companies under RPM Conglomerates – RPM Realty, Carniella Build N’ Shop, Ehynsohfee and Construction Supply gathered together at La Buena Vida covered court to have some fun bonding and friendly competition. Each team has shown their competitiveness in every game. It may be a sports fest and competition is present but at the end of the day everyone got to bond with each other and rapport was established. Congratulations to the team who bagged the first place. It was a good sport indeed. 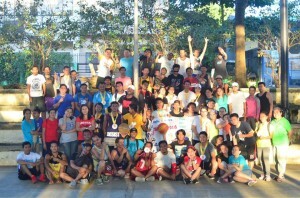 Looking forward to the next sports fest; well, everybody is hoping for another Pinoy sports fest. Until then!